Twelve corporate and four individual defendants have settled Federal Trade Commission charges that they deceptively marketed “cognitive improvement” supplements using sham news websites containing false and unsubstantiated efficacy claims, references to non-existent clinical studies, and fraudulent consumer and celebrity endorsements. The FTC also alleged that the defendants used affiliate marketers to make deceptive claims about their products, which they sold using different names, including Geniux, Xcel, EVO, and Ion-Z. The settlements ban the defendants from engaging in this conduct, which the agency contends violated the FTC Act. According to the FTC’s complaint, individual defendants Fred Richard Guerra, III, Lanty Paul Gray, Jr., Rafat Abbas, and Robby O. Salaheddine owned a complex web of corporate entities. Acting as a common enterprise, between about August 2012 and January 2017 the defendants marketed and sold the purported cognitive enhancement dietary supplements, which cost between $47 and $57 per bottle. 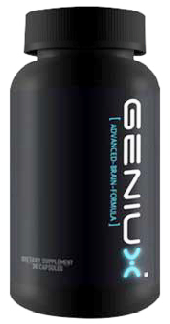 The ads also allegedly falsely claimed that the Geniux products had been tested in over 2,000 clinical trials and that scientific studies proved the Geniux products increase users’ focus “by up to 121%,” “sky-rocket concentration by 32%,” and boost brain power, memory recall, and IQ. The FTC alleges that the defendants made these claims on their own websites, as well as through the websites of at least 36 third-party affiliate networks. Some websites were deceptively formatted to look like — but were not — real news sites, to lure consumers to the defendants’ websites where they could purchase the Geniux products. At times, the websites falsely attributed the dramatic achievements of scientists and others — including Stephen Hawking, Bill Gates, and Elon Musk — to the Geniux products. Some sites included fake consumer endorsements. According to the complaint, none adequately disclosed that they were actually paid advertisements. Consumers purchased the Geniux products either on the defendants’ websites or via toll-free numbers advertised on the sites. Although the advertisements claimed that the Geniux products came with a “100% Money Back Guarantee” and that consumers could try the products “risk free,” those who tried to return them found it difficult or impossible to get a refund. In some instances, the defendants allegedly charged consumers who had ordered the Geniux products but never received them. The Commission has approved two separate proposed orders settling the FTC’s charges in this case. The first order resolves the allegations against individual defendants Fred Richard Guerra, III; Lanty Paul Gray, Jr.; and Rafat Abbas, as well as corporate defendants Global Community Innovations LLC; Innovated Health LLC; Emerging Nutrition Inc.; Buddha My Bread LLC; Innovative Fulfillment LLC; Ship Smart LLC; Vista Media LLC; Ash Abbas LLC; DCT Marketing, Inc.; and RNA Enterprise, Inc. The second order resolves the allegations against individual defendant Robby O. Salaheddine, and corporate defendants Premium Health Supplies, LLC and ROS Marketing & Consulting LLC. The proposed orders contain the same conduct provisions, but different monetary relief. First, the orders bar the defendants from making certain disease claims and several cognitive performance claims related to the covered products, including the defendants’ Excel, EVO, Geniux, and Ion-Z products, unless they have competent and scientific evidence to support the claims when they are made. The cognitive performance claims include that any dietary supplement, food, or drug: 1) improves short- or long-term memory or increases users’ focus or concentration; 2) prevents memory loss; 3) increases brain power; 4) increases users’ IQ; and 5) improves the speed at which users can process information. Next, the proposed orders bar the defendants from other misleading and unsubstantiated advertising claims about the health benefits, performance, or efficacy of any covered product. They also prohibit the defendants from misrepresenting clinical evidence, including that any covered product is clinically proven to increase focus; improve concentration; increase brain power; enhance memory recall; or increase users’ IQ. The proposed orders also prohibit specific misrepresentations related to endorsements, including that: 1) any person is an objective news reporter regarding the endorsement message provided; 2) purported consumers or celebrities who appear in their advertising achieved a reported result by using any of the covered products; and 3) anyone depicted in advertisements, including experts, consumers, and celebrities, is providing objective and independent opinions about the products. Finally, the proposed orders prohibit other misleading representations related to sham news and other marketing claims about material aspects of their goods and services, and require the defendants to monitor their affiliate networks and advertisers to ensure that their advertising complies with the terms of the orders. The orders require the defendants to clearly and conspicuously disclose the total cost, billing information, and refund terms and conditions before asking for consumers’ billing information. The orders also bar the defendants from failing to honor refund requests and from refusing to allow returns or order cancellations. The first order imposes a $14,564,891 judgment, which will be partially suspended after the defendants pay $523,000, including $243,000, $100,000, and $180,000, paid by Guerra, Gray, and Abbas, respectively. The second order imposes an $11,587,117 judgment, which will be partially suspended once defendant Salaheddine pays $100,000. Each judgment will immediately become due if it is later found that the defendants misrepresented their financial condition. The Commission vote approving the proposed court order was 5-0. The FTC filed the complaint and proposed orders in the U.S. District Court for the Northern District of Ohio. NOTE: Stipulated final orders or injunctions have the force of law when approved and signed by the District Court judge.